The Theme is "Lots of Love" and you have until 29th February to submit your entries. Beautiful Valentine! 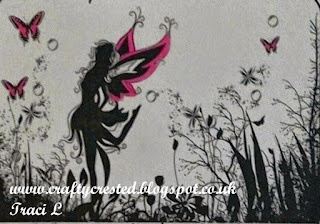 I love that sweet fairy and your color combination is gorgeous! Monochrome with a touch of color is so pretty. I love this stamp! 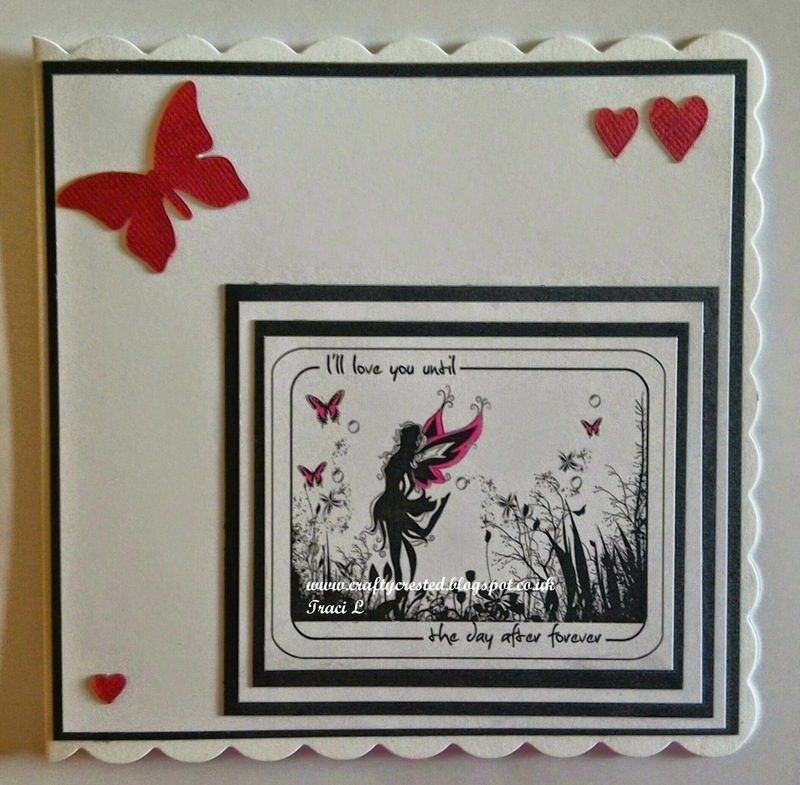 How pretty to use the black silhouette with just a touch of the deep pinky red design elements! It's a beautiful card! Thank-you for joining us at the Crafts Galore Encore Challenge "Use a Stamp or Digi". Love, Love, Love so gorgeous.